What a pic! 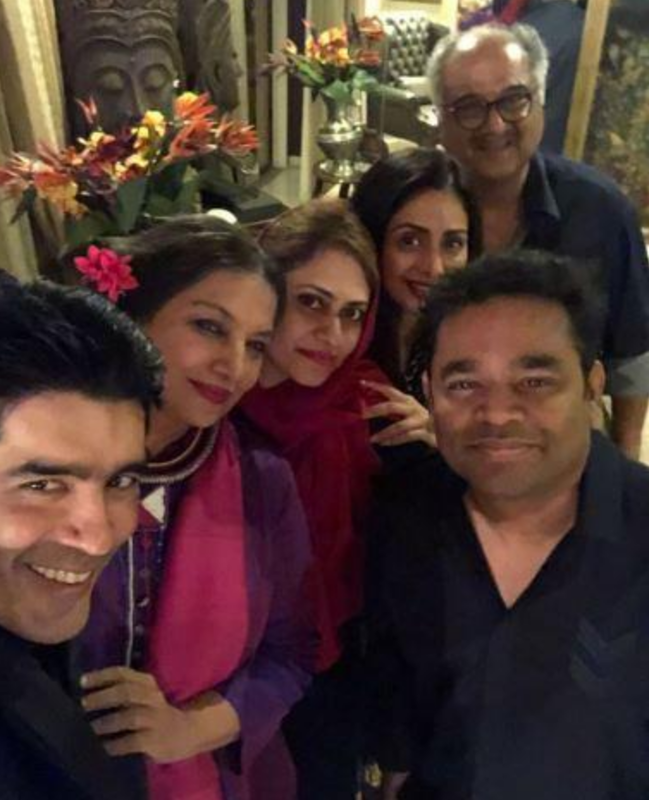 Manish Malhotra, Shabana Azmi, Saira Banu (AR Rahman's wife - not to be confused with the Bollywood actress of the same name! 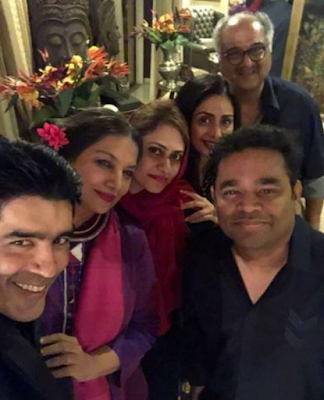 ), Sridevi, Boney Kapoor and A.R.Rahman.